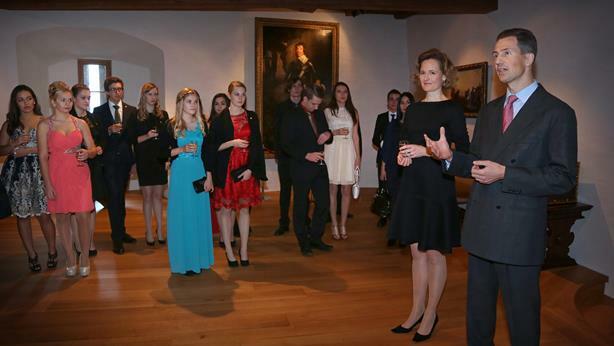 On October 31st, Hereditary Prince Alois and Hereditary Princess Sophie carried on a Liechtenstein tradition by celebrating with 339 young citizens their official arrival at adulthood. The reception took place at Vaduz Castle, where Prime Minister Adrian Hasler was also in attendance and shared coming-of-age traditions in other cultures. He joked that, by comparison, in Liechtenstein one simply goes to bed aged 17 and wakes up aged 18, with the exception of having to listen to speeches. Quite a few more photos at Vaterland. It appears that everyone had a very nice time.